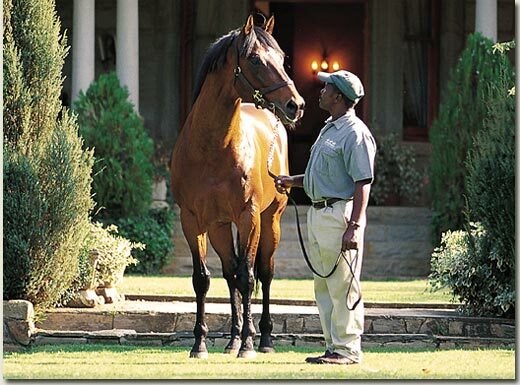 The outcome of Thursday’s main event at the Vaal was a timely reminder that us breeders often appear to have a short-sighted vision, driven no doubt by the commercial imperatives of the desire to cull. All too soon, we’re often guilty of prejudging a family’s destiny, based most times on a perception of the saleability of a mare’s progeny. The result is, by the time the subject mare has had as few as three or four foals, and the commercial returns have not quite met expectations, we quickly resort to the chopping block, forgetting just as suddenly, all the good reasons for the mare’s acquisition in the first place. Mystic’s lightening closure for victory in the 7th on Thursday; recalled the value of patience and the underlying purpose of family-building. We’ve said it before, but it’s worth repeating; at Summerhill our mating policies are not driven by commercial outcomes alone. Truth is, they never enter our thoughts. Rather, we prefer the process of trying to breed a racehorse first, and then trusting the market to respect the result by paying a fair price for the progeny. 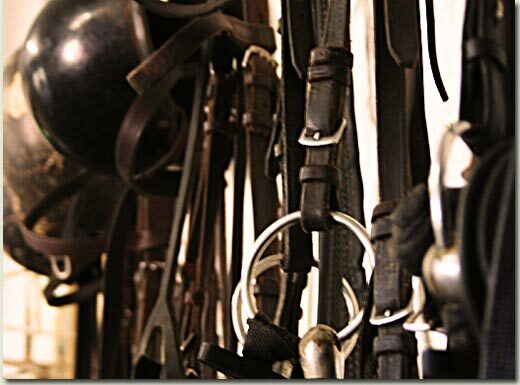 While there is a possibility this policy can cost you in the sales ring to a certain degree, there is little doubt of its contribution to the respect you earn when you breed a Champion. Returning to Mystic, he’s a son of a bread-and-butter stallion (Albarahin), out of a mare (Vanish, by Coastal) who herself was the subject of some derision as a foal and as a weanling, when some of our number at the time doubted her value as a prospective runner, let alone a broodmare. But we’d ventured this far for a reason, and Vanish’s dam, the Lyphard mare Cahard, like her own sire, (a diminutive, natty little model of a horse,) had been bought out of the memorable Nelson Bunker Hunt dispersal, with the long road in mind. Here she was, producing an equally diminutive result, (notwithstanding Coastal’s 16.1 ½ h.h,) in the effort to get something with range and scope. Vanish was spared the “knackers” and leased to an erstwhile customer of Summerhill, Brian Burgess, where she displayed the lion-heart at the races, accumulating four victories in fairly competitive company, despite her “tinyness”. The rest is of course, a matter of history. Besides Mystic, she’s produced 100% winners from runners, including the 9 time Group One winner Disappear, who was the first to get the ball rolling in what has become a celebrated affair between Muhtafal and Coastal mares. So where is the parable? Breeding is a long term process and it demands endless patience. The reality though, is that with few exceptions, with the benefit of judicious selection, quality stockmanship and proper husbandry, you can get a respectable response from most mares and we’re reminded at this time of a conversation we shared with Lionel Cohen a few years back on this topic. You see, we’ve a common thread with Lionel on this score, and in a discussion about flawed physical specimens in the broodmare population, he simply said “we can always breed this out, can’t we?” Applying this principle, the rare likes of Lionel have produced one good horse after another for so long now, no-one can gainsay the weight that accrues from great stockmanship. During what has been a relatively quiet time for Summerhill-breds on the racetrack, Mystic kept the flag flying for us at the Vaal yesterday. Running like a horse possessed he dug deep in the Merit rated 92 Handicap over 1450m on the sand to beat Argo Bay, Infinite Spirit (a R700 000 purchase and G1 placed) and The Giant (a AUS$ 200 000 australian import). This little horse with a big heart is yet another success story from the Ready to Run sale. He was bought for R90 000, has now earned a tad over R280 000 and looks to have a few more in the tank. Congratulations to all the connections: Sean Tarry, Scott Kenny, Devon Habib, Greg Blank, S Appanna, D Yutar, HN Yutar and AR Burke. After a spate of rather disappointing results against minor fields, Surfin’ USA, the 5 year old gelding by Modern Day, finally showed his class with a hard fought victory in the R300K Midmar Premier Trophy (Grade 2) on Sunday at Kenilworth. Jockey Piere Strydom certainly coaxed the best from his mercurial mount by patiently biding his time as the field settled. Then by leaving his charge until the very last moment, Surfin’ USA was able to just shade Vision Of Grandeur on the line for honours. Congratulations must go to all the winning connections including Surfin’ USA’s breeder, our good friend and client of Summerhill, Fenn Tarbitt. The legend surrounding South African trainer Mike de Kock continues to grow and a brilliant gallop by Eagle Mountain to land yesterday’s HK$20 million Cathay Pacific Hong Kong Cup is just the latest chapter in a story that is far from over. Mike de Kock has won two editions of the Audemars Piguet Queen Elizabeth II Cup with Irridescence and Archipenko and has now claimed his first December international with a horse rated by the man himself as better than any of his recent stars. Eagle Mountain, ran out a comfortable winner of Hong Kong’s richest race under the guidance of Kevin Shea, scoring by 1-1/4 lengths from French raider Balius. Linngari, trained at Newmarket by Sir Michael Stoute and on his third sortie to Sha Tin, ran third and odds-on favourite Viva Pataca a luckless fourth. Mike de Kock agreed with the suggestion that after his Breeders’ Cup Turf second, and backing it up with yesterday’s huge win, Eagle Mountain is a horse that can and will compete on any stage. Eagle Mountain will now return to Dubai and be set for the “Super Thursday” meeting in early March. “After that, we’ll decide which way to go - to the 1800m race or the 2400,” he said. The races under consideration are two of the richest turf races in the world (each worth US$5 million) - the Dubai Duty Free (1,777m) or the Dubai Sheema Classic (2,400m) on World Cup night. Of course, there’s been many other accolades, and last year the Hartford restaurant made the Dine Top 10: Deluxe 2008 voted by Diners club international & Wine magazine, but the Prudential Eat-Out Restaurant Awards are the summit of them all, and to have achieved this is the ultimate for any young chef or restaurant anywhere. The Irish, the English, the Australians and the Argentineans are all well known for their close identity with horses in general, and with racing in particular. Yet there can be few nations anywhere whose culture is more deeply linked to the horse, and the use of the horse, than that of the Kingdom of Lesotho. The full expression of the Basotho people’s obsession with horses could be no more evident than in their Monarch, King Letsie III’s “detour” to Summerhill this morning, enroute from Maseru to Johannesburg. Anyone familiar with the route will tell you there are much quicker ways of reaching Johannesburg from the Mountain Kingdom, yet His Majesty just had to see his new SOLSKJAER foal, and his new broodmare acquisition. In fine form, His Majesty and his entourage were guests of the team at lunch, and there’s nothing that makes the Royal heart more jovial than a discussion about horses. Nobody is more conscious of the impact which the global financial turmoil is having on the world, than we are. Long before its onset, and against the backdrop of spiralling food costs, we embarked on a programme to encourage our people to be as self-sufficient as possible. The first fruits of the new campaign are just being harvested, and nobody’s done better than Ida Nkabinde (one of nine from this family in the service of Summerhill) who arrived with these freshly cut lettuces, all organically produced, of course. For those who don’t know, Ida is also one of our resident “Sangomas” (traditional healers,) and it seems some of the ancestors were alongside her in this endeavour. Eat your heart out Woolworths! Sunday witnessed another gathering of Hartford connected people, this time the 90th birthday of Tempest de Frederickz, (who was born Ellis in 1918). The Ellis family acquired Hartford as long ago as 1939, and they lived here until early 1990, when the Gosses took over. In the life of any racehorse breeding establishment, the judging of a farm’s stock by independent experts is always a signal event. Wednesday was such a day. Every producer has a different approach to the way he raises his horses, and it’s a well-documented fact that at Summerhill, more than most, Mother Nature plays a primary role. While some have been preparing their horses for this event for several months now, our way is to leave them out in our “organic” environment for as long as possible, avoiding the stress of incarceration and human intervention, and asking the elements and the wonderful world we live in, to continue their good work in shaping the futures of our horses. 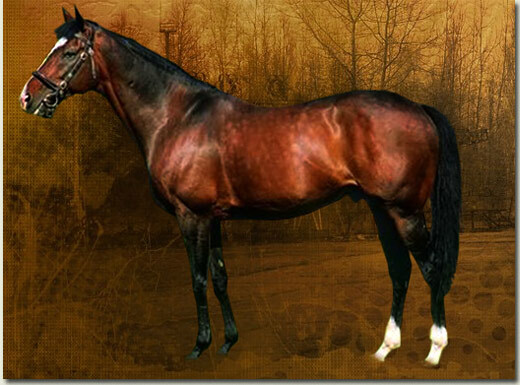 While the old saying that there are “different strokes for different folks” was never more appropriate than it is in the horse business, the reality is the way we do it works for Summerhill, manifesting itself as patently as anyone could hope for in four consecutive Breeders’ Championships. That’s not to say that we’re right and everyone else is wrong; it’s simply that, in the model we follow, it seems to be the best way to proceed. Every new crop of youngsters brings new challenges, and whenever there are the progeny of new stallions, there is new excitement. That said, we usually deal with the first stock of a debutant stallion on the basis of entering just a few of them for the showcase National Sales, preferring to keep a good number back for the Emperor’s Palace Ready To Run, where we can work closely with them, and understand their individual idiosyncrasies. This way we get to know how they respond to the making- and-breaking process, how quickly they learn, how they handle the rigours of exercise and being ridden, what their temperaments are like, what sort of actions they have, how durable they are and whether the mating which has produced that particular individual, is worth pursuing in future. The Ready To Run has been a great instrument in advancing Summerhill’s cause over the years, and has been a grand educational lesson for all of us. We’ve often proclaimed the virtues of South Africa’s horsemen, and we point to the achievements of our jockeys, trainers and breeders on the international circuit as evidence of this. In Hong Kong, where the pursuit of the jockeys’ title is something every self-respecting rider in the world will take on at some point in his career, the Jockeys’ Championship has been in South African hands for seventeen of the past eighteen seasons (think Basil Marcus, Dougie White, Felix Coetzee, Robbie Fradd and Bartie Leisher), while the likes of trainers Mike de Kock and Herman Brown in Dubai, Patrick Shaw in Singapore and David Ferraris and Tony Millard in Hong Kong have illustrated the validity of this statement time and again. Of course, often enough they’re doing it with South African-bred horses, and that says something about the establishments that produced them. We’re no less blessed in the quality of the intellectuals that bestride our game, and in the judges that are sent to the farms to cast their eyes over our yearlings. John Kramer, who’s been around since Methusalah, is as astute as anyone we know, with a far-sighted vision which is right nine times out of ten, when it comes to his expectations of what a horse will look like down the road. His assistant is the celebrated ex trainer, Tobie Spies, who in his day as an active conditioner of racehorses, was as hard-working a man as we knew at the sales. There wasn’t a horse in the catalogue Tobie wouldn’t look at every sale he attended, and then he’d short-list his favourites and make sure, when the hammer fell in his favour, that it represented good value. Twice in the first four runnings of the old Bloodline Million, he managed to pull the needles out of the proverbial haystack. The judges were more than complimentary about the draft in general, and they warmed particularly to the first progeny of Solskjaer and Cataloochee, each of whom claimed two of the top horses in the draft on points. In fact, the bulk of their horses earned “8’s” and above, and you couldn’t get off to a better start with a first crop sire than that. All three of the Hobb Alwahtans entered scored well, too, and so we’ll be looking to a good sale from these “freshmen”. Besides a liberal sprinkling from our stalwarts, Kahal and Muhtafal in the line-up, we have a quality entry from some of the world’s best young stallions in Street Cry, Johannesburg, Shamardal and the old war horse, Royal Academy. Four of these are fillies from some exceptional families, and are bound to be on the list of anyone with a “collectors” taste for a good horse and a bit of serious pedigree, especially in these risk-averse times when downside seems to count so much. A long overdue honour has been bestowed upon arguably South Africa’s greatest former jockey, Michael “Muis” Roberts. 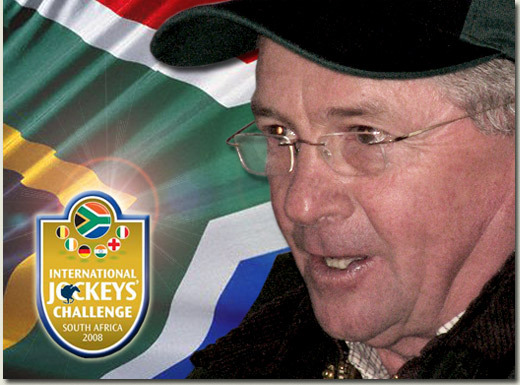 In Johannesburg last week, Michael Roberts was named manager of the South African team that will line up against the cream of the world’s top jockeys for Saturday’s International Jockeys’ Challenge at Turffontein. He was awarded his South African national colours along with the nation’s best jockey talent. Michael Roberts, the 11 time Champion jockey of South Africa and 1992 Champion jockey of Britain, is now a racehorse trainer in the Karkloof Kwa-Zulu Natal where he trains 65 horses for owners, including Fieldspring Racing and Sydney Cassell. Michael Roberts has himself competed in a number of international jockey “Tests” staged in South Africa in the 1970s and 1980s. He has also managed international jockey teams in Royal Ascot’s Shergar Cup competition. Frankie Dettori of Italy, captain of the international team is an old friend of Michael Roberts. A neck injury resulting from a fall in the UK in 2001 led Michael Roberts to retire from riding at the age of 48. “I was still enjoying racing; if I hadn’t been injured I’d probably still be riding.” he said. Summerhill wishes Michael Roberts and Team South Africa every success this weekend. 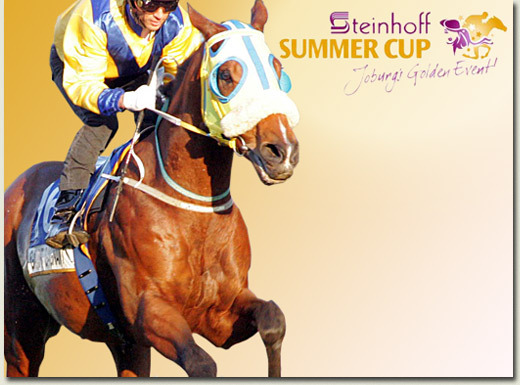 Saturday’s Steinhoff Summer Cup meeting sees the re-inauguration of the Jockey’s International concept, this time in “Test Match” format as they take on the cream of South Africa’s best, and it’s likely to be as great an attraction as the main event at Turffontein. The four-race International Jockeys’ Challenge is led by South Africa’s champion jockey, Mark Khan, and an international team which includes the irrepressible Frankie Dettori. Twelve of the world’s top jockeys will be in action, with the visiting contingent including France’s flamboyant Christophe Soumillon, cool Irishman Mick Kinane, Australian legend Damien Oliver, top English jockey Darryl Holland and Indian champion Mallesh Narredu. The South African team comprises Piere Strydom, Kevin Shea, Mark Khan, Weichong Mawing, Karl Neisius, and Anton Marcus, with Anthony Delpech as the reserve. All have been awarded Proteas colours, as has team manager Michael Roberts. The month of December is not all about Christmas stockings and decorated trees for reigning South African Champion Trainer Mike de Kock, as it heralds the start of another preparatory phase in his build up to the Dubai Racing Carnival. Mike de Kock Racing reports that the 2009 renewal of the world’s richest racing spectacle will represent Mike de Kock’s sixth sojourn to the UAE desert. Every year he’s had to match a terrific previous season but time and again he’s managed to better his own records with phenomenal spells of success. In his five desert seasons so far Mike de Kock has saddled an astounding 63 winners from only 288 runners , capturing some of the world’s richest and most sought-after racing trophies against gruelling competition from the very best the racing world has to offer. With 20 of those winners recorded in 2007, his best UAE season ever, Mike de Kock’s task seems to be getting harder, yet in 2009 his string will be 45 strong, more than twice the average number he’s trained at his Grandstand Stable Complex in his first five years. With 19 inmates already in work with assistant Trevor Brown in Dubai and at least another 23 soon on the way on different chartered flights, Dubai 2009 could be Mike de Kock’s greatest carnival ever. A Summer Cup winner, a Durban July winner, Derby winners, an Oaks winner and SA’s Champion Sprinter left Cape Town for Mike de Kock’s base at Newmarket, England, in October. They included Summerhill Stud’s multiple Graded winner Imbongi, Grade 1 winning three-year-old Rocks Off, Daily News 2000 winner Russian Sage, top class Oaks winner Front House, sprint sensation JJ The Jet Plane as well as sand stars Naples and Quicksand. Among the Dubai stalwarts from previous years who are likely to race at Jebel Ali and perhaps Nad Al Sheba in the pre-carnival period from 19 December are Ablaan, gelded Limehouse and Drift Ice. In early January there could be races for the likes of Brave Tin Soldier and Trinity College. New acquisitions already in Dubai are Sheikh Mohammed bin Khalifa Al Maktoum’s Indian Tamburina, a filly Trevor Brown describes as small and laid-back, but with good ability, Zajel and Musaytit from Australia and Blues And Rock from Argentina. Four recent acquisitions from Coolmore are also on their way and include Zulu Chief, a half-brother to boom sire Hawk Wing, and Macarthur, a brother to Racing Post Derby winner Motivator, by Montjeu. “Royal Vintage, Lucky Find and another new horse called Stubbs Art landed in Dubai last Thursday,” Trevor Brown concluded. For the third consecutive year YEATS brother of Summerhill stallion, SOLSKJAER, has won the coveted Cartier Champion Stayer. Few horses have succeeded in capturing the affection of an admiring Flat-racing public like Yeats has done in recent times, but then only one other horse in history has managed to clinch the Gold Cup at Ascot on three successive occasions. Yeats joined fellow staying legend Sagaro in completing a hat-trick in the Royal Ascot showpiece in June ,and the Sadler’s Wells seven-year-old is rewarded with a third consecutive Cartier Champion Stayer Award. With four Gr.1 victories under his belt before this year, Yeats was already established as the finest stayer of recent times. He made five starts in 2008, opening his campaign with a second successive win in the Listed Vintage Crop Stakes at Navan in April. True greatness then beckoned, and Yeats embraced it with a devastating five length defeat of Geordieland at Royal Ascot that saw him join the hitherto peerless Sagaro. A second Goodwood Cup was added as Yeats sauntered across the line seven lengths clear of Tungsten Strike. Yeats suffered a reversal at Longchamp in the Gr.1 Prix du Cadran on 4th October as he finished a below par fifth to Spanish raider Bannaby. The great horse put that rival in his place on final start of the campaign when returning to Longchamp for the Prix Royal-Oak on 26th October. In a strong renewal of the Gr.1 contest, Yeats held the previous year’s winner Allegretto by a length and a half, with Bannaby back in fourth. Rather than a life at stud, Yeats seems set to return in 2009 when his adoring public will be willing him to a record fourth Gold Cup and perhaps another Cartier Racing Award.